On the 13th of November last year my aunty, Hilary Morris was taken from us by pancreatic cancer. Her end of life care was with The Severn Hospice in Telford. The staff and volunteers at the hospice were absolutely fantastic with my aunty and the rest of my family for the time she was there. 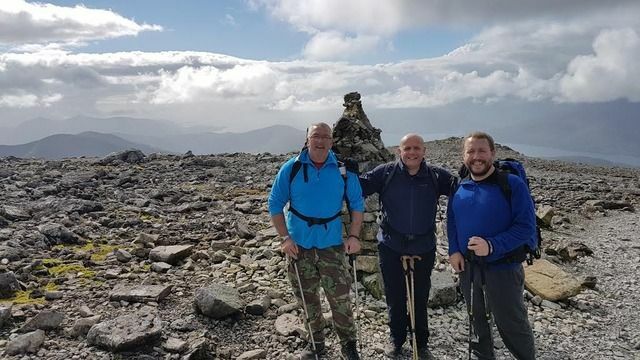 Because of this I would like to show mine and my families appreciation of the care they gave her by doing a sponsored trek to the summit of Ben Nevis. This will be taking place on the 10th of September this year. I have set up a just giving page for any sponsorship you would all like to donate to this very worthy cause. To sponsor me please go to www.justgiving.com/jonathan-childs361. Well, I did it. 9 hours up and down. Heres a pic up top.